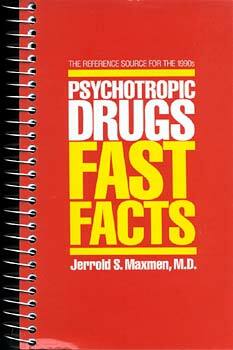 Finally, a fact book on clinical psychopharmacology -- no explanations, no background, no theory -- just facts. This efficient PDR places drug information in perspective without obscuring it with thousands of irrelevant details. That's why, rather than simply listing every conceivable side effect, this manual specifies the prevalence and risk of each hazard. Which antidepressant prompts the greatest drop in blood pressure? Amitriptyline? Bupropion? or Fluoxetine? Which hypnotic acts the longest? Flurazepam? Noctec? or Quazepam? Which antipsychotic is the cheapest? Haldol? Permitil? or Prolixin? This all-new approach clearly answers these and thousands of similar questions. It presents doses, indications, clinical pharmacology, dosage forms, prescribing details (starting, maintaining, and stopping methods), therapeutic and toxic levels, side effects (with percentages for each medication), food/drug interactions, safety during pregnancy and lactation, instructions for children, geriatric, and medically ill patients, withdrawal (symptoms and techniques), overdoses (with remedies), suicide potentials, nurses' concerns, patient information, and costs. As an up-to-date resource, this volume belongs right next to the clinician's definitive references, such as the DSM-III-R.
Jerrold S. Maxmen, M.D., is an Associate Professor of Clinical Psychiatry at Columbia University's College of Physicians and Surgeons, where he has served as director of medical student training. He has taught psychopharmacology to medical and mental health disciplines, has examined psychiatric drugs in his five other books, and has prepared Psychotropic Drugs: Fast Facts with other Columbia faculty.